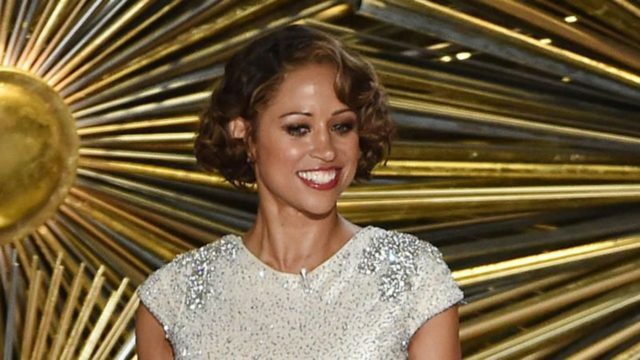 Republican actress Stacey Dash dropped her congressional bid in California on Friday after thinking and praying about the potentially life-altering decision. “After much prayer, introspection and discussions with my family, I am withdrawing my candidacy for California’s 44th Congressional District,” Dash told CNN. She reportedly added that the “overall bitterness” of the political process and the “rigors of campaigning” would negatively affect her health and family. Dash, who announced last month that she was running in California’s 44th district, received an inadvertent boost from the Democratic Mayor of Compton, Aja Brown, whose entry into the race would have helped split the vote between Dash and Democratic Rep. Nanette Barragán (D-CA), the incumbent. This is due to California’s “jungle” primary, which allows for the top two vote getters to proceed to the general election, regardless of political party. Former presidential candidate Hillary Clinton won the 44th district by an overwhelming margin during the 2016 presidential race. Dash reportedly became conservative over the past few years and had also joined Fox News Chanel as a contributor. Being conservative in Hollywood is extremely challenging. In 2017, Breitbart News’s Big Hollywood published an exclusive three-part series called the Tinseltown Travelogue, which exposed the “entertainment industry’s stunning hypocrisy and institutionalized bigotry towards conservatives. In the series, Patrick Courrielche explores the origins of Hollywood’s hatred of right-wingers dating back to the Communist infiltration of the industry during the “Hollywood Blacklist” days, as well as the shocking new intensity of the bigotry and blacklisting in the wake of Trump’s electoral victory.